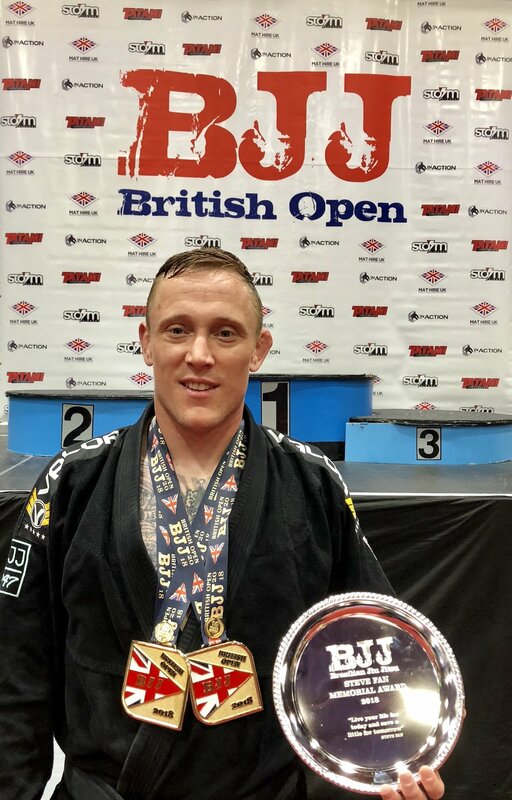 Lee Simpson is the top ranked adult MALE BLACK belt for 2018. He is the winner of £500 sponsorship to compete at the 2019 Europeans in Lisbon. Good luck Lee! Heavy weight and open weight British Open blackbelt champion, Dublin blackbelt Open weight champion GI, Dublin NOGI blackbelt heavy weight champion, Amsterdam Open Gi Heavy weight blackbelt champion, NAGA Europe Gi & Nogi blackbelt/expert champion, London Winter Open blackbelt Medium Heavy champion Gi, Tanko ,Sub15teen and Tuff super fight winner. Sporting heroes (BJJ or otherwise): Marcelo Garcia, Roy Jones Jnr. What inspires you to compete? Testing myself in competition inspires and drives me a lot, being pushed out of my comfort zone motivates me to train as hard as I can and to always try my best. I also believe that you learn a lot about yourself on the completion mat, it gives you the chance to see how effective your own Jiu Jitsu really is under pressure and it definitely highlights your strengths and weaknesses. I also run the kids academy at our club and honestly, all my students inspire me every single day and I want to lead by example to show them it’s good to compete and to help them reach their own goals. What advice would you give other competitors? My advice to other competitors is to keep entering as many competitions throughout the year as possible but don’t put to much pressure on yourself. Just enjoy every single one and learn from every single one. Whatever happens on the competetion mat, make sure you get back to your training straight away and focus on the next one. And no matter what, never give up.